This is our fourth year hosting therapy dogs in the library on Eastern’s Study day. 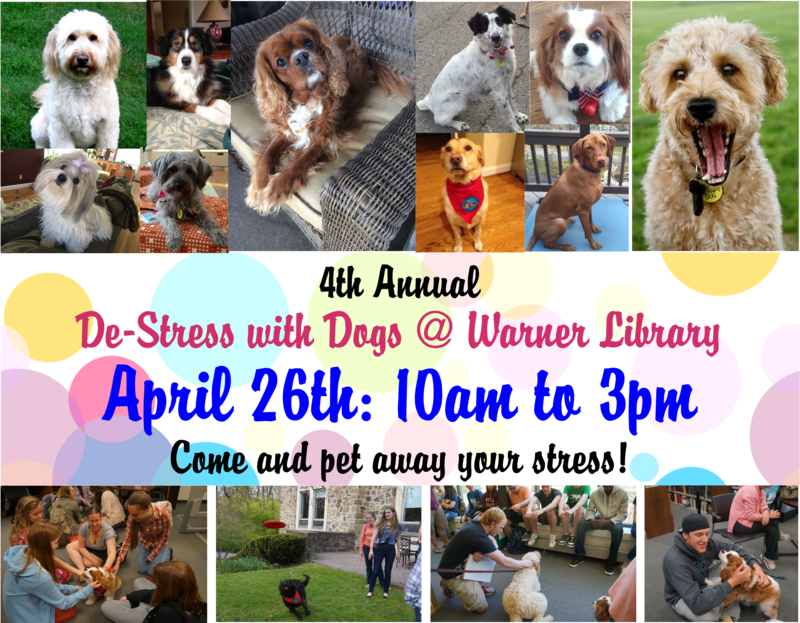 We hope you’ll come and take advantage of the stress-relief these furry friends provide. They will be here on the library’s Main Level, and if weather permits, outside of the library, from 10am to 3pm. ← Meet our Essay Contest Winners!